For a brief stint I had the honor of sharing an indie authors group with the talented Mel Comly and being the greedy hussy that I am, when Mel offered up free copies of her book “Impeding Justice” of course I snatched up a copy for to drool over for review. 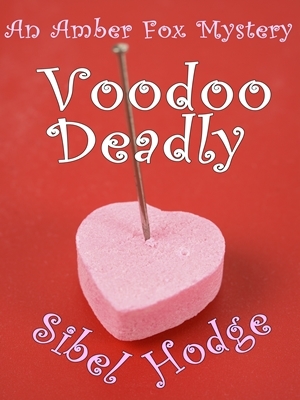 Sibel Hodge’s “Voodoo Deadly” Ebook Giveaway! To celebrate the release of Sibel Hodge’s third Amber Fox mystery, she’s giving away 10 ebook copies! When Chantal Langton, the daughter of a famous voodoo high priestess, goes missing, is it a simple case of a rich girl running off for some adventure, or is there something far more sinister going on? Soon Amber’s slap bang in the middle of voodoo curses, a trail of missing women, and a labyrinth of deceit. And, if that wasn’t enough, to add more distraction to the case, her ex-fiancé-turned boss-turned fiancé again is pressing her to set the wedding date. Can Amber find Chantal and hunt down a cold-blooded killer before her life comes crashing down around her? Head on over to her blog for a chance to win! It’s My Birthday And I’ve Got Presents! It’s that time of year again. The sainted day that I was born so many, many years ago. On such a blessed day could their be any more wonderful celebration than another book release and give away! I think not. Today “Ash of Ambitions” is available on Amazon.com and, thanks to KDP Select, this time I’m able to give away free copies to all my kindle using readers. I’m super excited! Follow the links and be sure to grab yourself a copy of the book while it’s still free because like my birthday, this kind of awesomeness only comes around once a year for a limited time. Now that “Ash of Ambitions” is so close to publication, I’ve got little else on the brain! So there will probably be a lot of posts about the final stages of epublication. Today’s topic? How to craft the “Product Description,” or as I prefer to call it ‘blurb,’ for your brand new ebook! I’ve been horribly inconsistent lately. It’s finally winter in the South and I’m getting a cold draft through the hole in the wall that led to one hell of a chest cold I’m still battling. I’ve also got one book to push out the door in the next couple of weeks and another book in the pipeline. Because I’m a glutton for punishment.